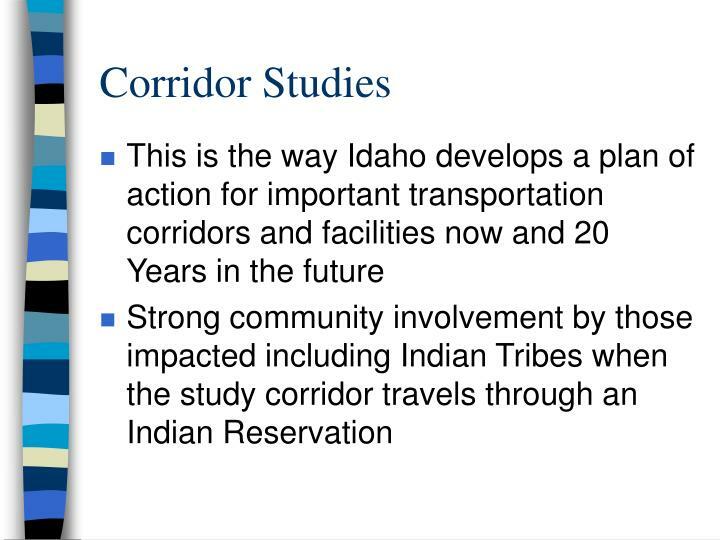 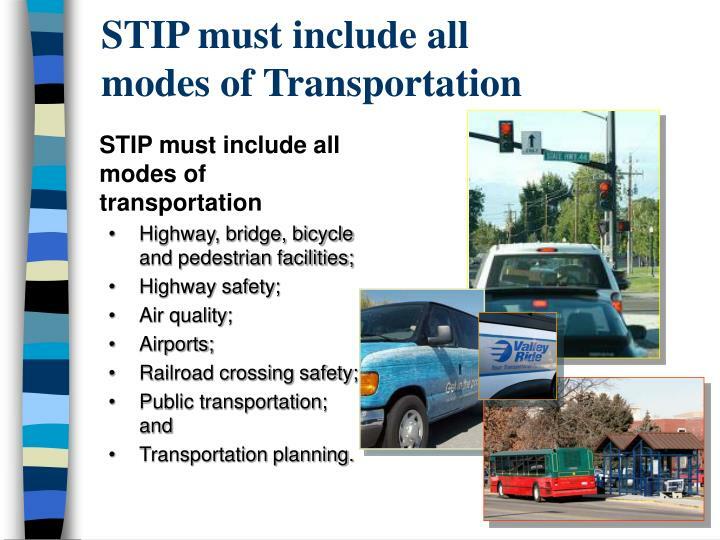 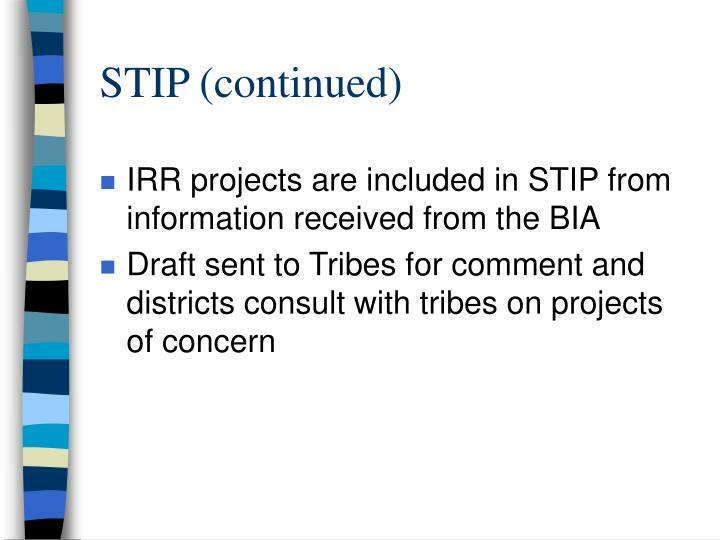 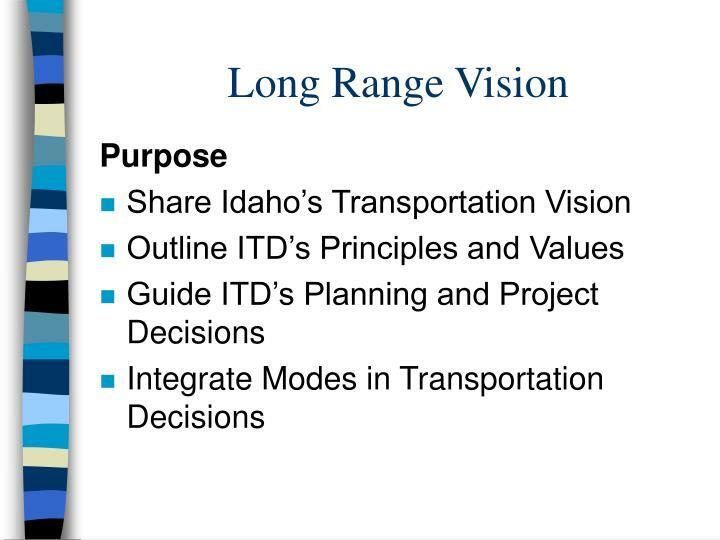 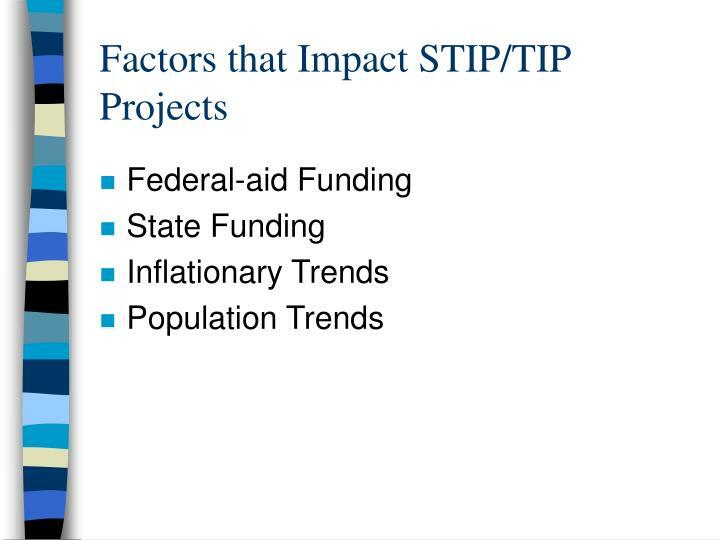 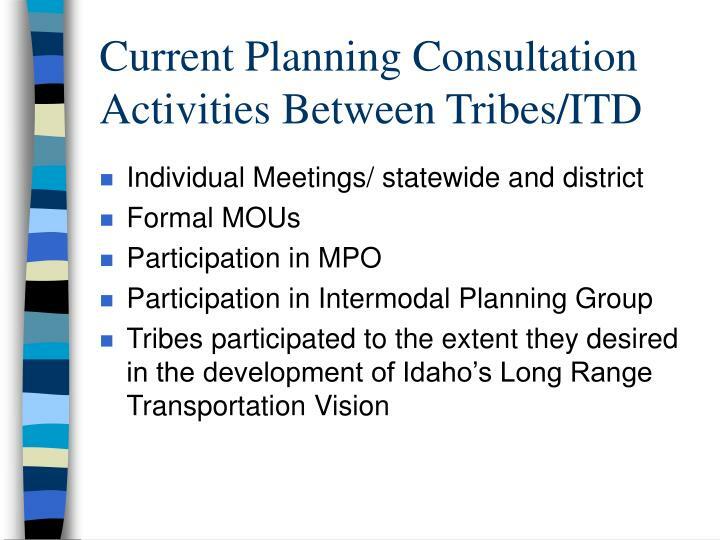 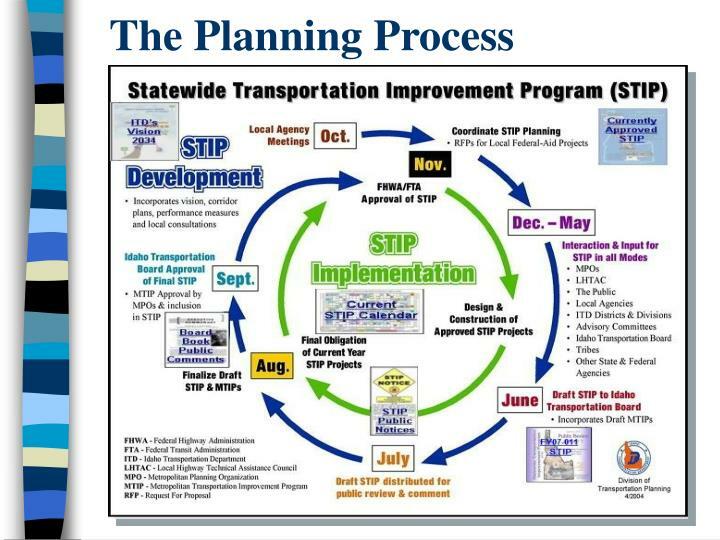 STIP and Long Range Transportation Plan will be developed with consultation with tribal jurisdiction in Idaho and the Secretary of the Interior. 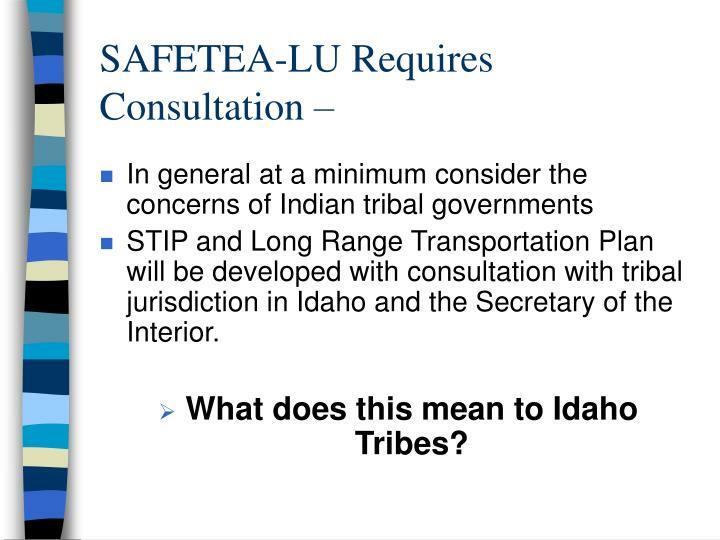 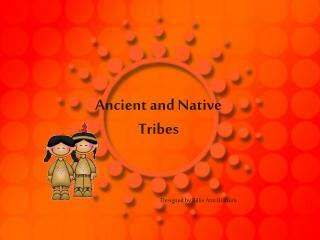 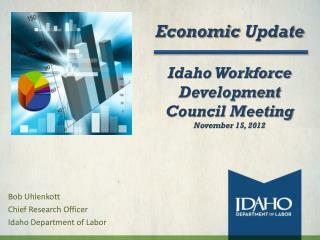 What does this mean to Idaho Tribes? 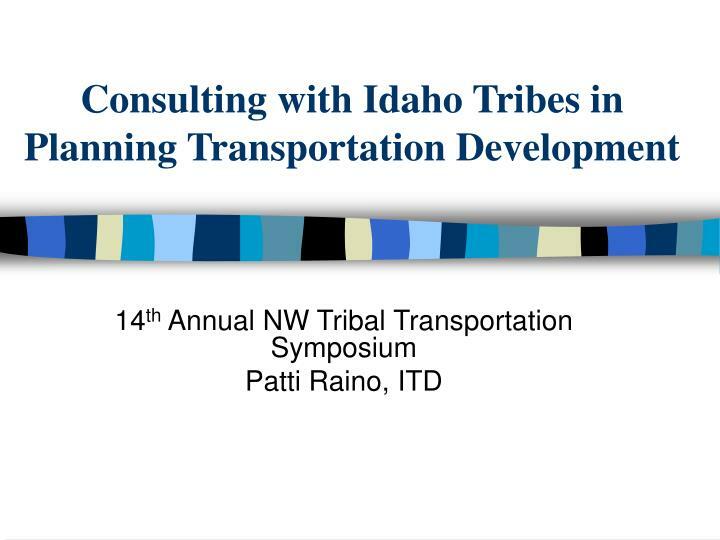 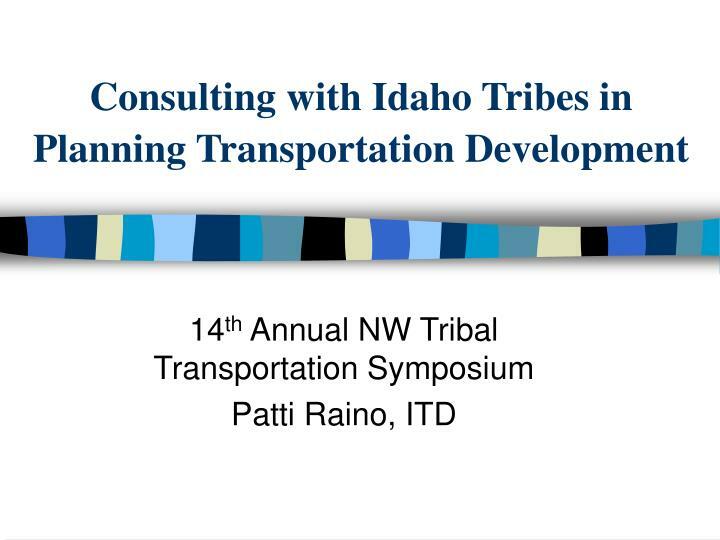 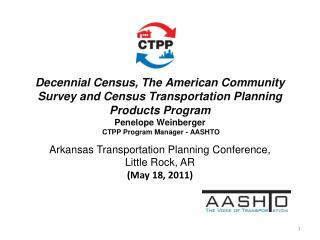 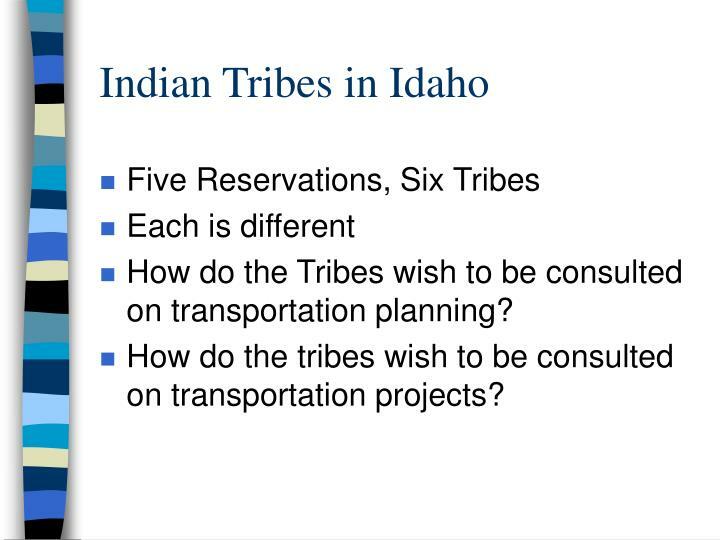 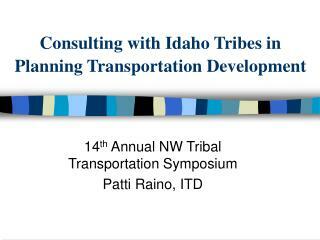 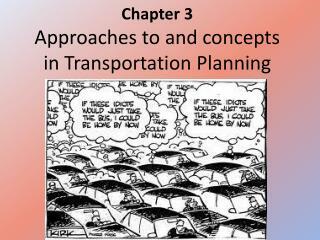 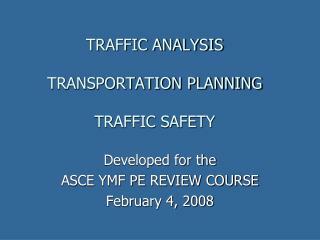 How do the Tribes wish to be consulted on transportation planning? 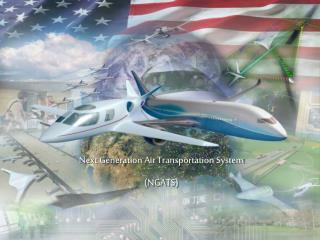 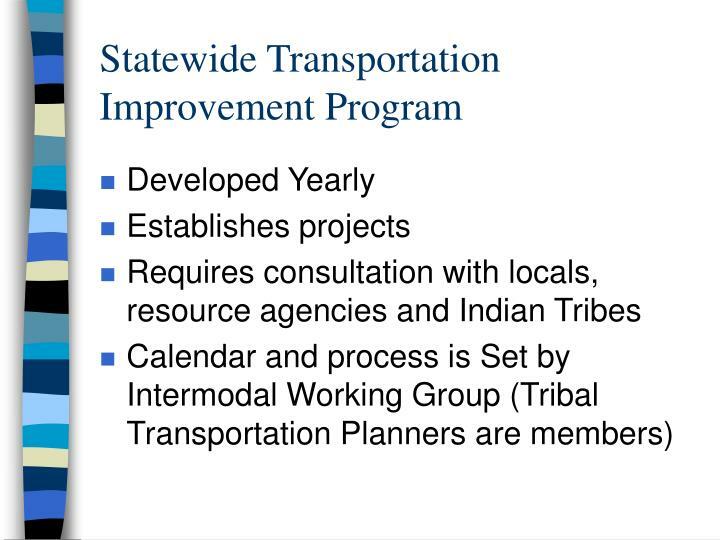 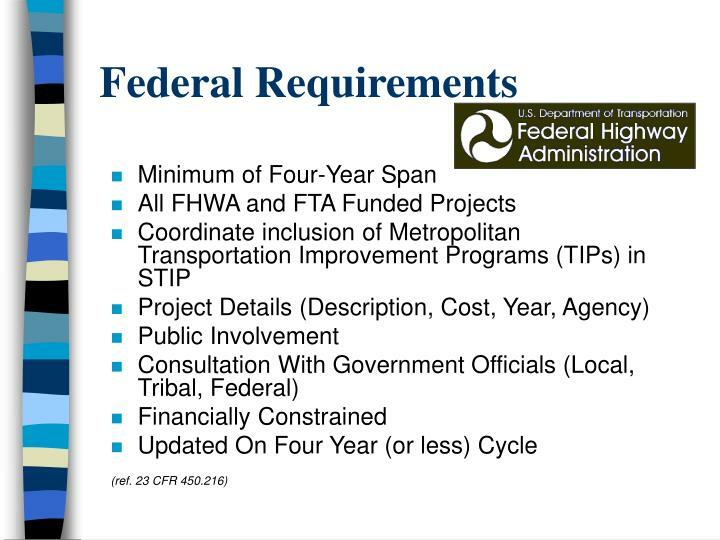 How do the tribes wish to be consulted on transportation projects? 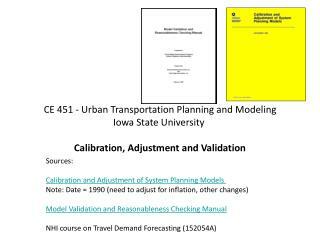 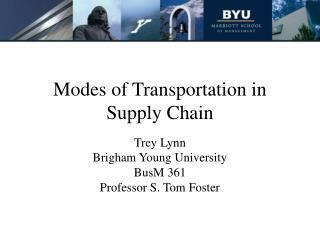 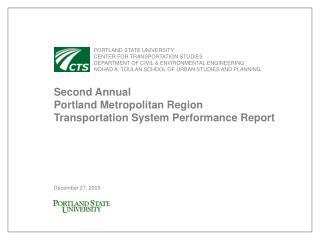 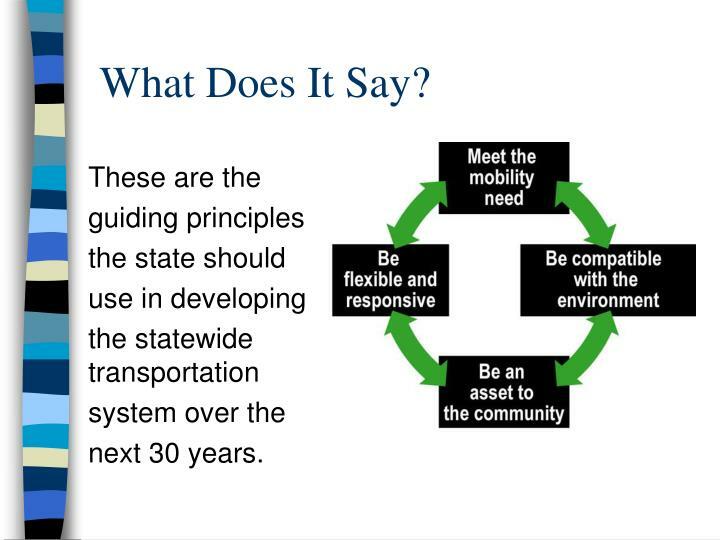 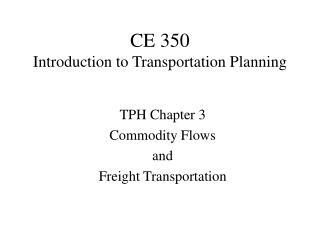 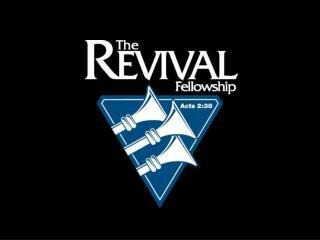 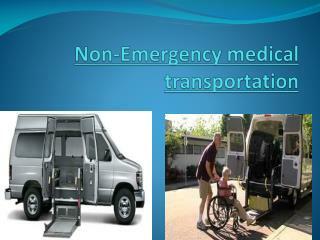 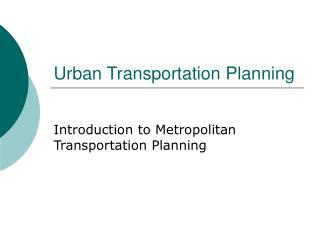 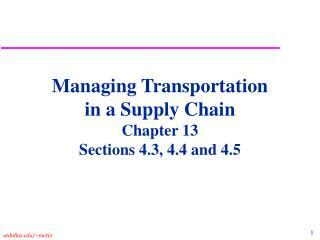 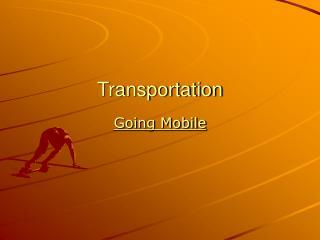 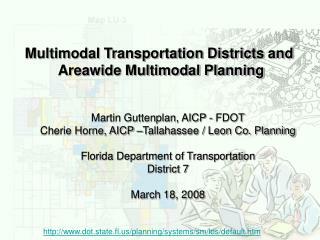 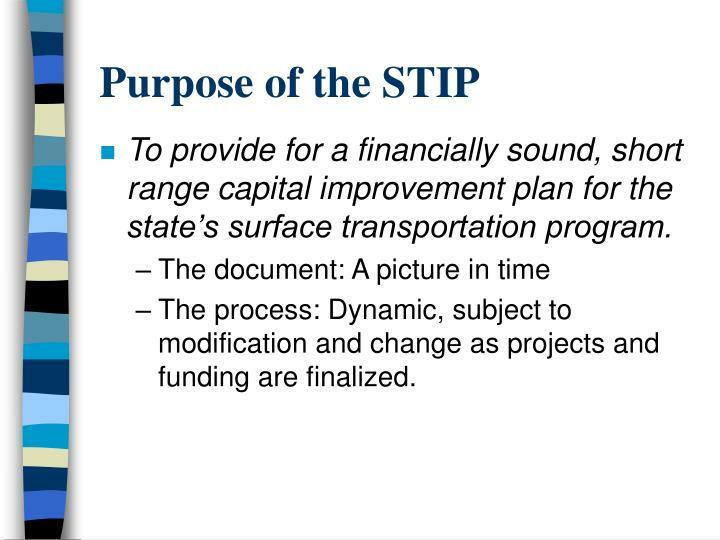 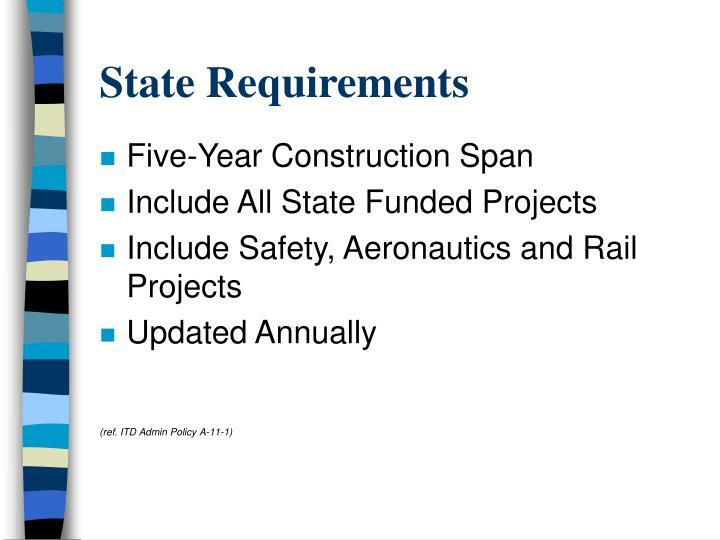 To provide for a financially sound, short range capital improvement plan for the state’s surface transportation program. 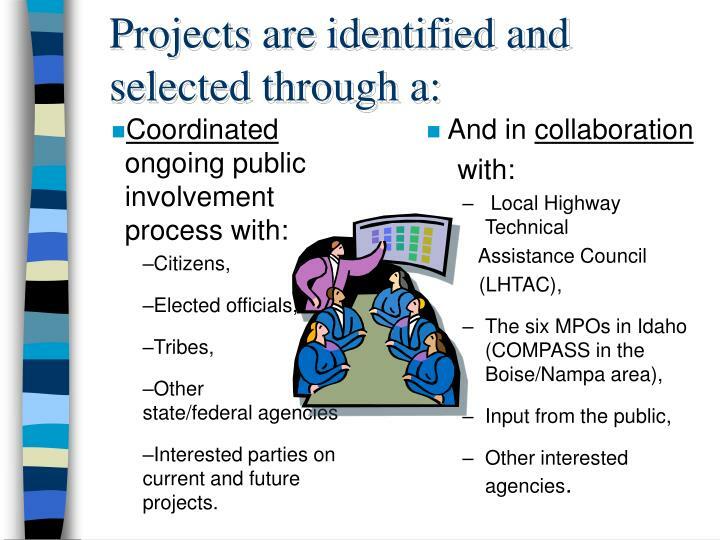 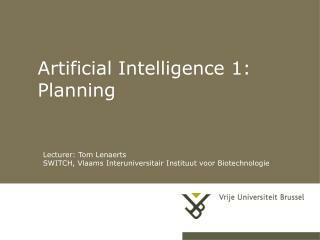 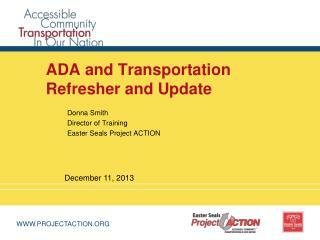 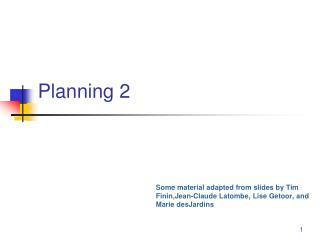 The process: Dynamic, subject to modification and change as projects and funding are finalized. 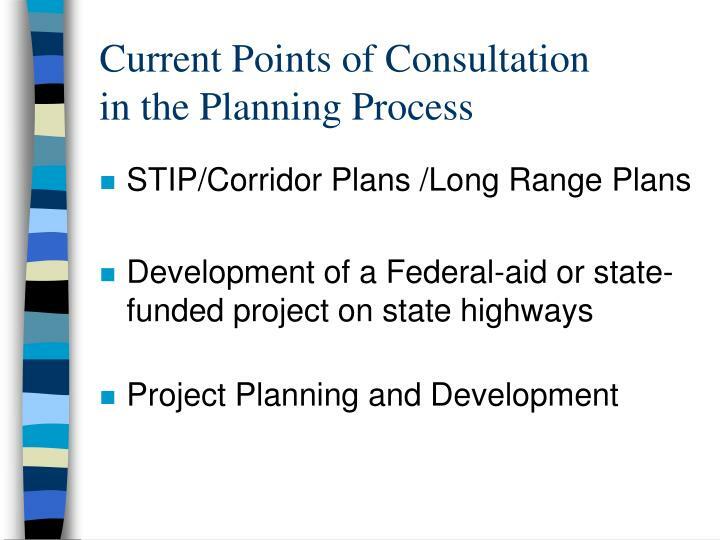 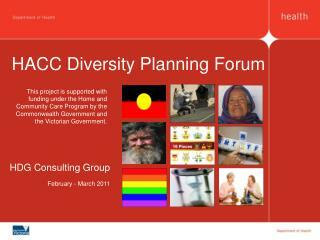 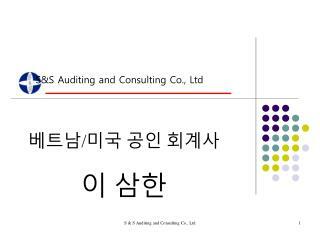 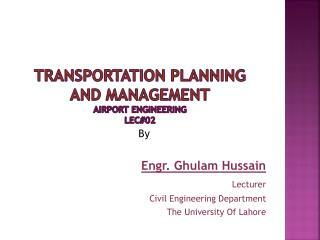 Interested parties on current and future projects. 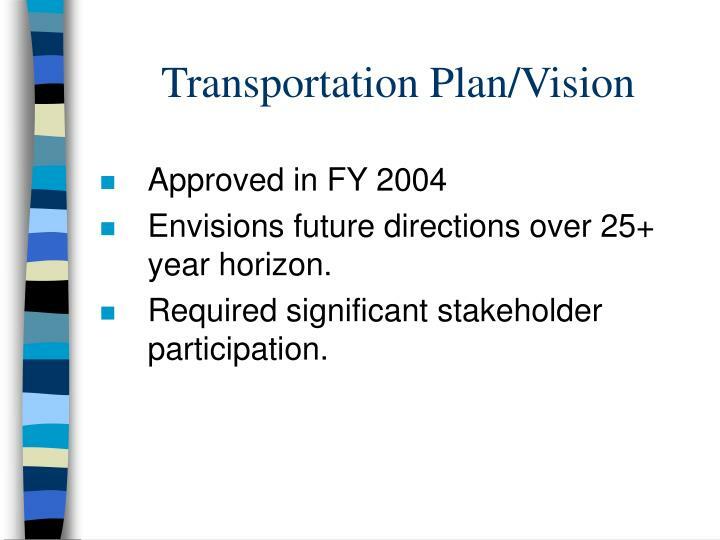 Envisions future directions over 25+ year horizon.